Noah started his career with us as a performer, and now we are thrilled to count him among our most reliable and trusted staff members. Noah is our current Summer Camp Administrative Assistant (which basically means he runs everything and looks cool doing it), and has spent his summer working alongside Kieran and Kristin keeping kamps kalm, kollected, and komfortable. It’s such a treat to see him every day and to hear his dulcet tones in his own rendition of Barbra Streisand’s “Why is it always Miss Marmelstein.” We’re so thrilled that this young man – who has graced our stages in plays like Raggedy Ann and Andy, Tom Sawyer, Robin Hood, Frankenstein, The Count of Monte Cristo, and Holmes and Watson – is now one of our team. Thanks for all your amazing work this summer Noah! Noah back in his acting days playing Sherlock Holmes, along with Griffin, Andrew, Amanda, and John in our 2013 production of Holmes and Watson! “Hey there, friends. 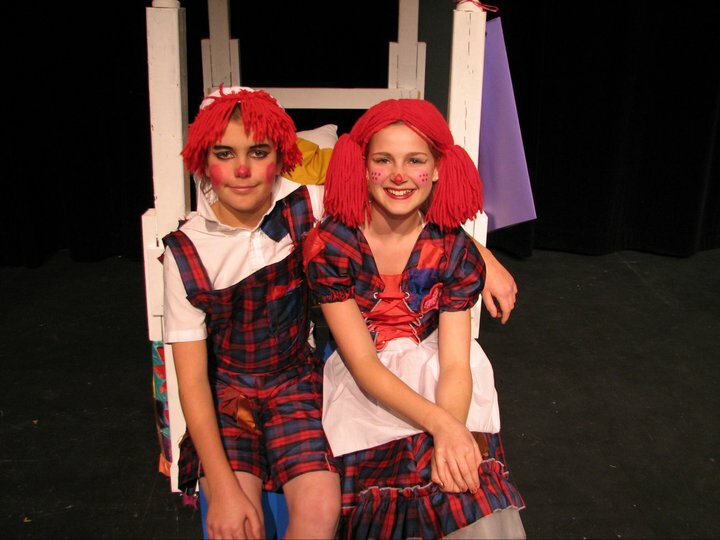 My name’s Noah and this is my second summer in the employment of Calgary Young People’s Theatre, although for many years prior I’d been a camper and cast member in a variety of their productions. I’m currently poised to attend the University of Victoria after taking a gap a year and realizing that, aside from at CYPT, the job market is rather unforgiving for an unskilled, uneducated young man such as myself. In my spare time I enjoy toying with the idea of doing exercise or sport, reading, and writing letters to the establishment on my various frustrations as a middle-class millennial. 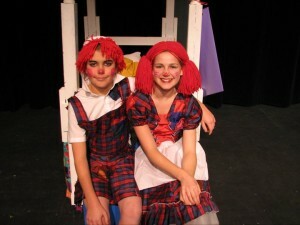 Noah and Jordan as Raggedy Andy and Ann. Sorry, Noah, we had to post this. Too adorable not to.